This 16”x20” poster is a composite of two photos. 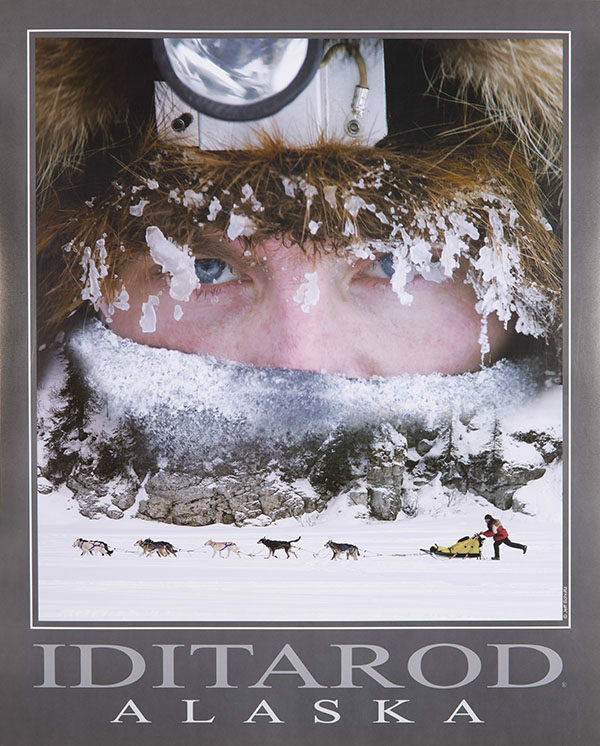 The top photo is a portrait of musher Randy Chappel frosted up at the Nikolai checkpoint in 2004. The bottom image shows Iditarod champion Mitch Seavey running on the Fish river outside of the White Mountain checkpoint as he’s about to win the race in 2004.